Puget Sound Gas has over 25 years of experience in satisfying the unique needs. We know as well as anyone how temperamental the weather can be in the Bellevue area ranging from cold and wet to warm and dry, and we also know how important it is to have your home or office heated properly in the winter. Puget Sound Gas offers a variety of choices for our customers to choose from. We have the finest in home and office furnaces, and we can help you select one that will pay for itself in 10 years. In addition, we can help you choose which product is right for you and for your budget. 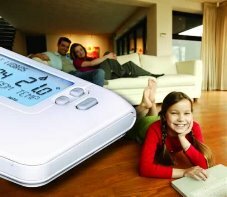 To satisfy any of your heating needs in Bellevue, WA, look no further than Puget Sound Gas . We are proud to provide the best service at the lowest rate! Whatever your heating concerns, calls Puget Sound Gas . Our staff is friendly and knowledgeable, and we can help! Furnaces have many parts working together to get your home heated and some of those parts are for your safety. Our fall inspection will include a qualified technician to inspect your furnaces safety switches to make sure you and your family are safe. Call or schedule your inspection online at our contact link. Call us today at 425-343-5566 or fill out our online contact form.